Here is another app that turns your iPhone into a biking computer, allowing you to track your adventures conveniently. 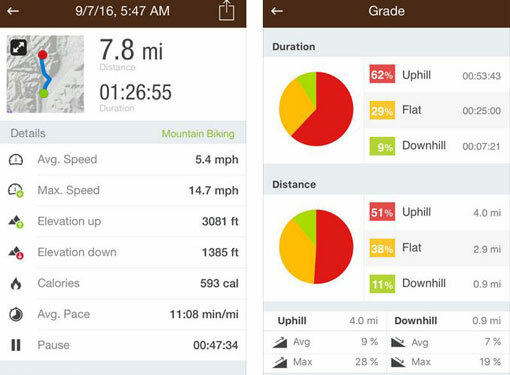 Runtastic Mountain Bike PRO can track your rides and monitor your progress. You can monitor your distance, elevation gain, pace, and calories burned. The app provides you with voice coaching. 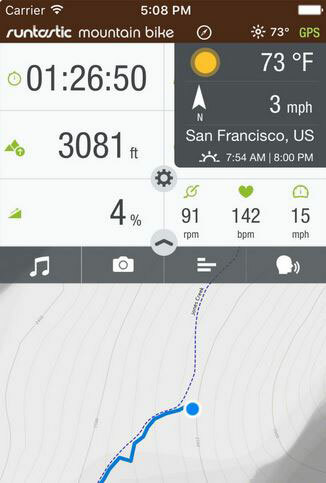 Runtastic Mountain Bike PRO can track your trails in real-time. You will be able to show your friends your current location. It also displays your current rate of climb. You can save your activities to Runtastic or share them to Facebook and Twitter. The app has Apple, Open Cycle and Open Street Map options. Maps can be saved for offline use.